Aaron's mint plant is getting huge! So he trimmed a bunch of it and I put it in paper bags to dry (thanks to Aprille's recommendation). Mint tea here I come! 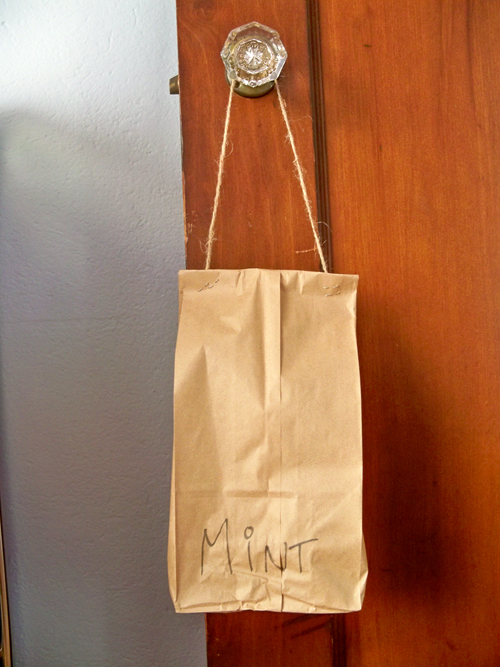 Fresh mint... perfect for refreshing mint juleps! Thanks Jenny. I planted some mint earlier this year, too. Other than Mojito, I had no clue what to do with them. Thanks for the idea!! That looks so nice I seriously think I can sell it! Will you be posting pics of your latest Pyrex acquisition? I'm curious to see what your mom found for you. 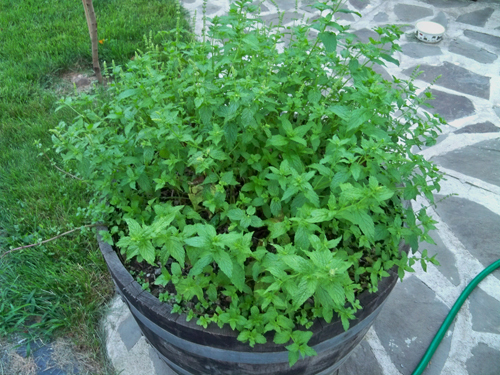 Weren't you smart to plant that mint in a pot rather than in the ground...so invasive! But such minty goodness. Ate yesterday at Eve (restaurant of top chef competitor in Ann Arbor). After our lunch, we were each brought these delicious sugared mint leaves. Yum!